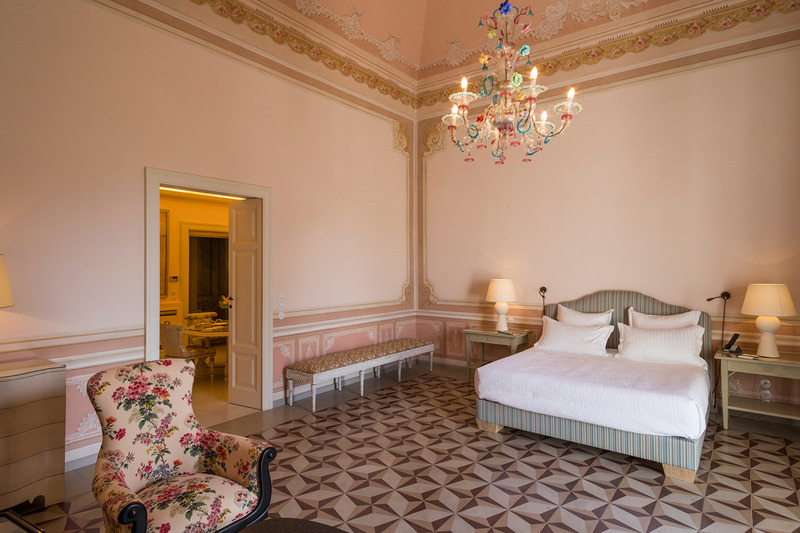 This romantic suite at our Italian boutique hotel was designed as a gift to Gia Coppola, Francis's first granddaughter. 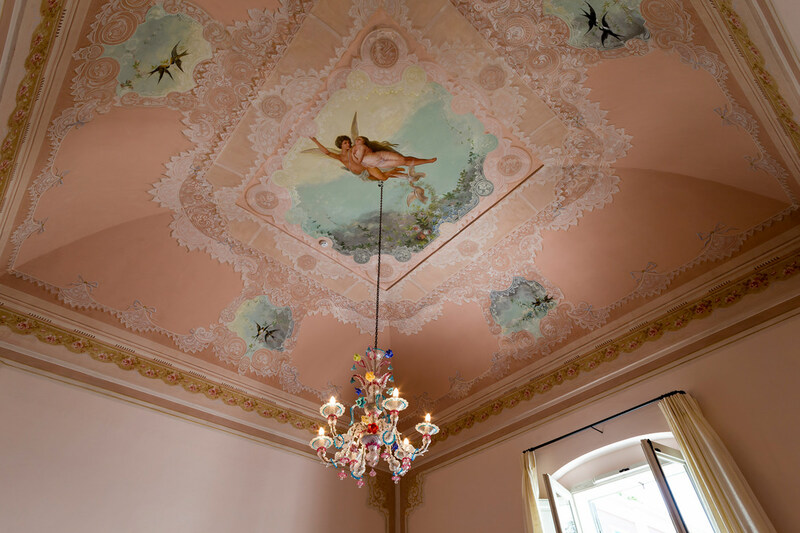 It features a subtle Rococo design with a delicate fresco on the ceiling representing Cupid and Psyche, symbolizing good fortune and happy harmony to lovers. A large walk-in closet and separate dressing room add to the dramatic scale. 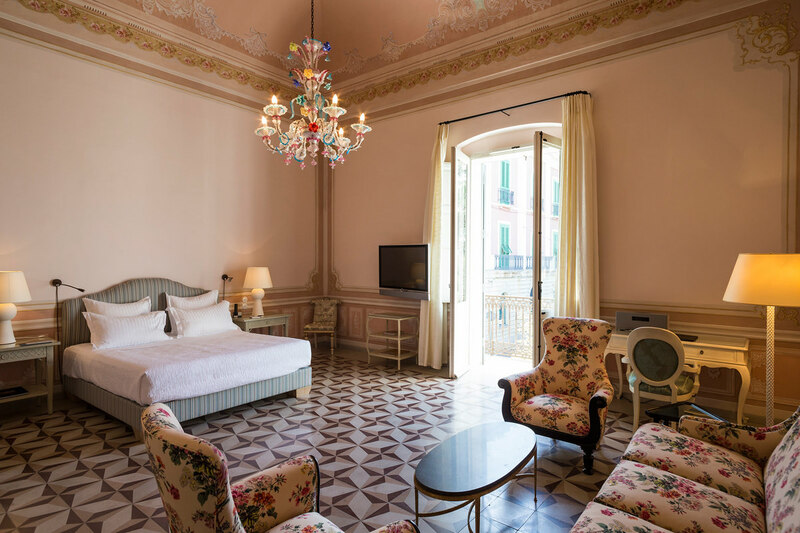 A balcony offers a view of Bernalda's main street and town square, a perfect spot from which to enjoy the spectacle of unhurried, small-town life. 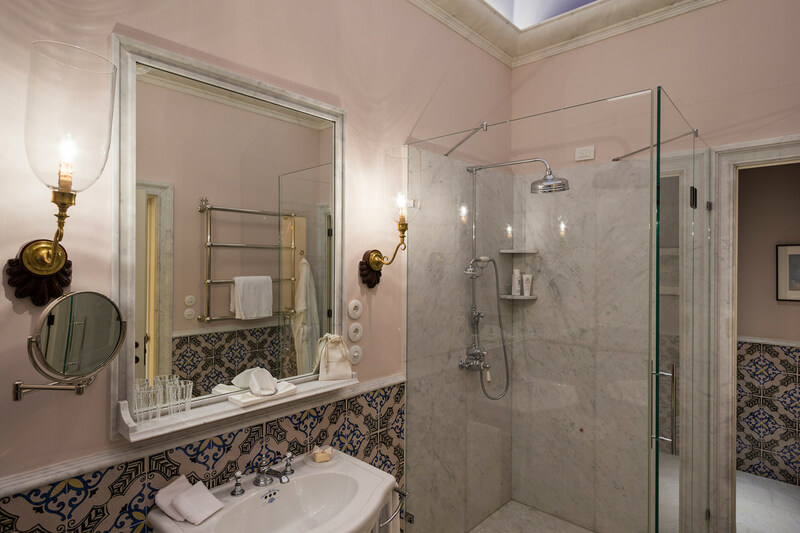 A spacious bathroom includes a clawfoot bathtub and separate shower. King-size bed. 780 square feet (70 square meters). Capacity 3. 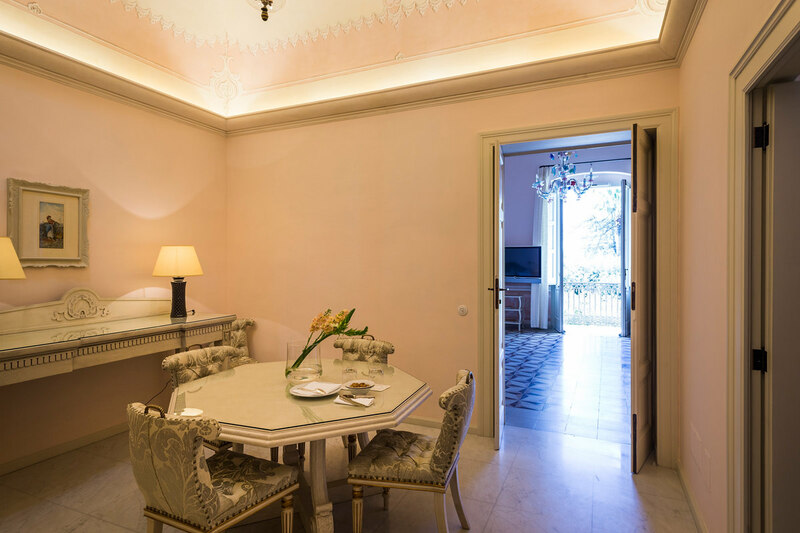 For those of our guests who are newlyweds, our luxury hotel in Italy offers the Gia Suite in our Honeymoon Experience.